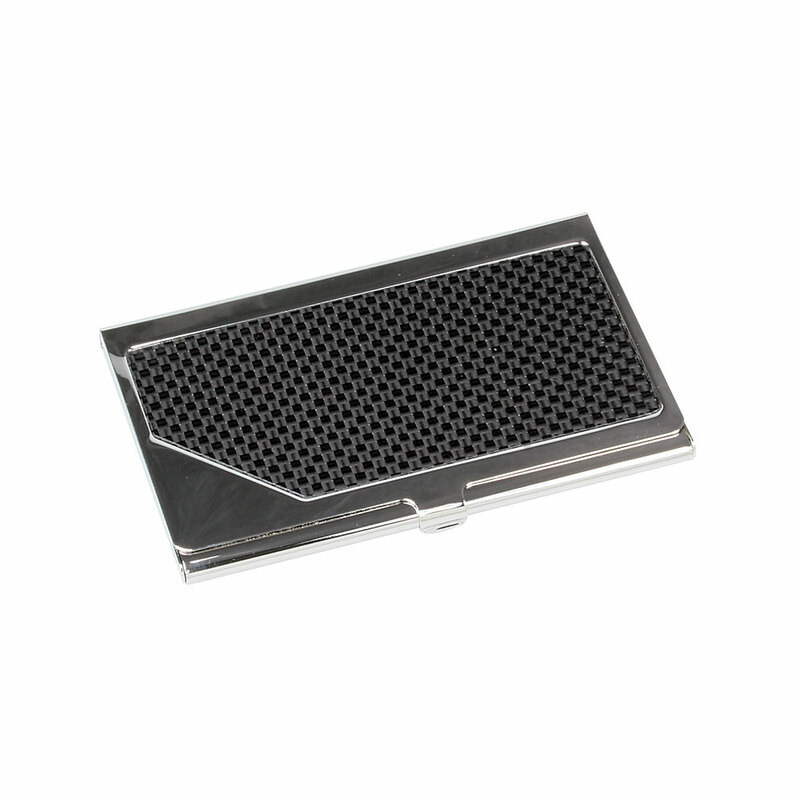 Executive metal money clip with a carbon fiber design finish. 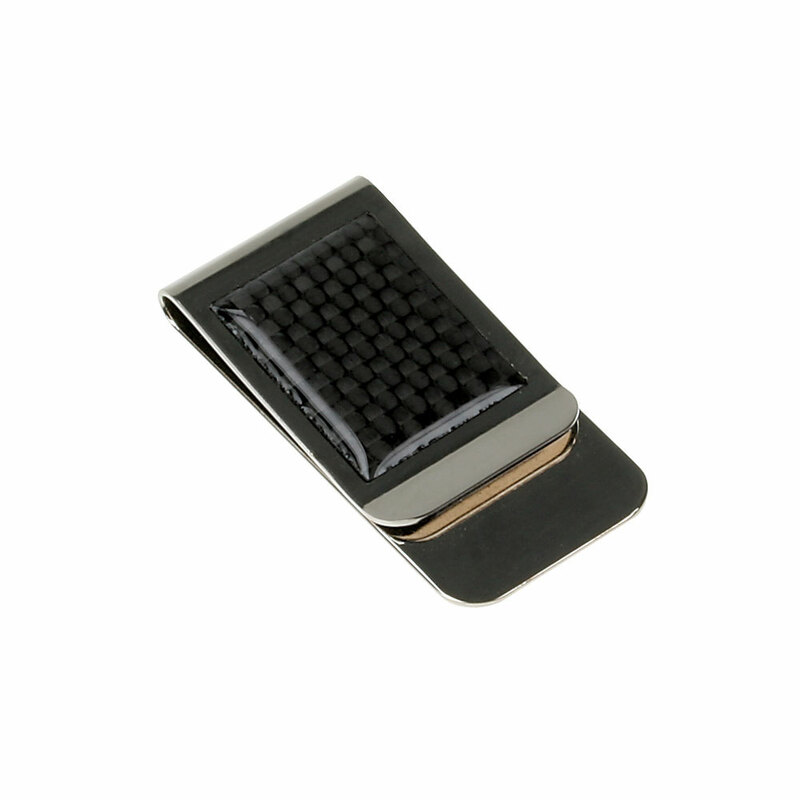 The money clip itself is metal, guaranteeing a solid, weighted feel. Laser engraving included on either front or back.